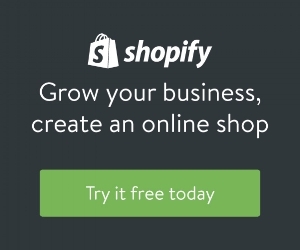 Over 600,000 ecommerce businesses run their online stores with Shopify. With Textline's newest integration, Shopify merchants can provide exceptional customer support via text messaging. Learn more about connecting your Shopify store to your Textline account in the Textline help center. Does your ecommerce team reply to text messages from shoppers? Sign up for a free trial to add business text messaging to your customer service toolset. Get a textable phone number in your local area code, or add text messaging capabilities to your existing business number. Pipedrive is a sales management tool designed to help small sales teams manage intricate or lengthy sales processes. Pipedrive's interface lets you view your company's sales pipeline to understand which deals are on track to close. Textline's new Pipedrive integration lets you see text message conversations associated with deals in your sales pipeline. Your Textline admin can connect your Pipedrive account by visiting Organization Settings > Tools & Integrations. Does your sales team text with customers and prospects? Sign up for a free trial to add business text messaging to your sales toolbox. Get a textable phone number in your local area code, or add text messaging capabilities to your existing business number. If your business uses Talkdesk's call center software, you can now add business text messaging to your Talkdesk account with Textline's AppConnect app. Your team can share a textable phone number to text with customers. In addition to standard text messaging, Textline provides features like auto-responses, broadcast announcements, scheduled messages, shortcuts for FAQs, response time metrics, and more. Learn more on Talkdesk's blog. 1. Tell a friend: Spread the word about Textline and share your unique invitation link, found on your profile settings page. 2. Give something: When your friends sign up for Textline, they'll get an extra week added to their free trial, as long as they use your invitation link. Full details on Textline's customer referral program can be found in our Help Center. Does your business text with customers? Sign up for a Textline free trial and get a textable phone number in your local area code, or add text messaging capabilities to your existing business phone number. Looking to supercharge your productivity? Here are a few tips for Textline power users that might help. If you use tags to group your Textline contacts, you can search your address book for all entries matching a specific tag. You can also search for conversations with contacts matching a tag. Just search for tag:query and replace the word query with one of your tags. See the example pictured below. Learn more about using tags in the Textline Help Center. One way to tag your address book is to import a spreadsheet full of contacts with tags. Learn more about importing contacts. You can copy and paste links to specific Textline conversations for your own notes, to-do list, or to share with teammates. You can copy links from the message input box. See the screen shot pictured below. Links to conversations are only usable by people who have access to your Textline account and are signed in. Learn more in the Textline Help Center. Have you ever wished you could initiate a Textline conversation by tapping a link or button in another application or your own internal software tools? You can, if you understand how to construct URLs and how to encode URL parameters. For example, the URL below will initiate a message from your Textline account to the phone number +1 (415) 969-4136 with the message "Tell me more about how real estate professionals use Textline." phone_number: The recipient's phone number will be added to your Textline address book if it is not already there. Note that we encoded the "+" before the full 10-digit phone number in this example. name: The recipient's name will also be added to your Textline address book, and needs to be encoded just like any other URL parameter. message: The message will populate Textline's text input box, but you can edit the message before you tap Send. See the example pictured below. You can streamline your workflow by strategically placing Textline URLs where and when you need them. (You may need help from an HTML or web pro.) We'd love to hear how your organization uses any of these features. Send an email to textline@textline.com or text us at +1 (415) 849-4349. 1. Single-line text fields can be used for just about any data you can imagine. Examples: company name, job title, birthday, nickname, maiden name, salesperson, account manager's name, user ID. 2. Use links to store URLs associated with a contact, such as a personal or business web page. Links can also be used for contacts' social media profiles on Facebook or Twitter. You may also want to store links to your organization's internal admin tools. 3. Email fields are for email addresses, naturally. Textline displays email addresses as clickable links. 4. Multi-line text fields can be used for longer entries such as customer preferences or special delivery instructions. 5. Use a checkbox for boolean values. For example, if new customers need to be approved or verified in some way, a Textline agent can mark a checkbox to indicate that. Once you've added custom fields to your Textline address book, you can use the field names as column headers when importing contacts, too. For instructions with screen shots, see Textline's help center. Note: Textline users must have admin access to add or edit custom address book fields. This feature is not available on the limited pricing plan. Use auto-responses to let your customers know if response times will be longer than usual during the holiday season. Set up an after-hours auto-response if your customer support team does not work around the clock. You might also link to your FAQ in your auto-responses. Are customers asking the same 3 questions over and over again? Save the answers to FAQs in shortcuts so you can answer quickly. For example, you may get a lot of questions about your refund/exchange policy. Have that information handy and save it in a shortcut. Need assistance to answer a complicated customer support question? If your company uses Slack for internal communication, consider adding a Slack channel where customer service agents can post questions and get quick replies from co-workers. Be sure to check out Textline's Slack integration, too. Remember that your customers are often stressed out during the holidays. Be prepared to deal with angry shoppers, and consider using positive language to offset their negativity. Try taking a meditation break with an app like Headspace or Calm. Organizations using Textline to conduct Net Promoter Score (NPS) surveys can now compose different automated responses for promoters, detractors, and passive customers. Learn more about using text messaging to send NPS surveys in the Textline Help Center. If your organization uses Help Scout to handle customer support email, you can connect Textline to a Help Scout mailbox. Once connected, new inbound texts will land in both Help Scout and Textline. As your team exchanges text messages with customers, the conversation transcript will stay up to date in both Help Scout and Textline. See the Textline Help Center for more details. Like watching videos? This short YouTube video explains how to connect your existing Textline and Help Scout accounts. Get started with business texting: Start your Textline free trial today. Net Promoter Score (NPS) is a popular metric used by brands to measure customer loyalty. Companies track NPS over time to make sure they're keeping their customers satisfied and always improving. NPS surveys are often administered over email. However, NPS surveys require only one question (a second question is optional) and text messaging has a much higher open rate and response rate than email. So, in this article, we'll show you how to send brief NPS surveys to your customers via SMS using Textline. NPS surveys were introduced to the business world by the December 2003 issue of Harvard Business Review with an article that went viral: The One Number You Need to Grow by Frederick F. Reichheld. The article explains, "By substituting a single question for the complex black box of the typical customer satisfaction survey, companies can actually put consumer survey results to use and focus employees on the task of stimulating growth." On a scale from 0 to 10, with 10 being highest, what’s the likelihood that you would recommend us (our company) to a friend or colleague? Your NPS score is the percentage of customers who are promoters minus the percentage of customers who are detractors. Passives are not counted in the NPS calculation. A perfect score is 100 and the lowest possible NPS is -100. The second optional question is a follow-up to the first: "Tell us a bit more about why you chose that score?" Companies use this qualitative data to figure out why they got the score that they did: What makes promoters happy? What is it detractors don't like? Using Textline to conduct NPS surveys by text message, you can follow up with any promoter, detractor, or otherwise (using a different Textline phone number). If you don't have an account already, sign up for a Textline free trial. Your first textable Textline phone number will be the one you use to close the loop with customers post-survey. (You can also use this phone number to handle any other customer support issues over SMS.) You'll get a second Textline phone number for NPS surveys. 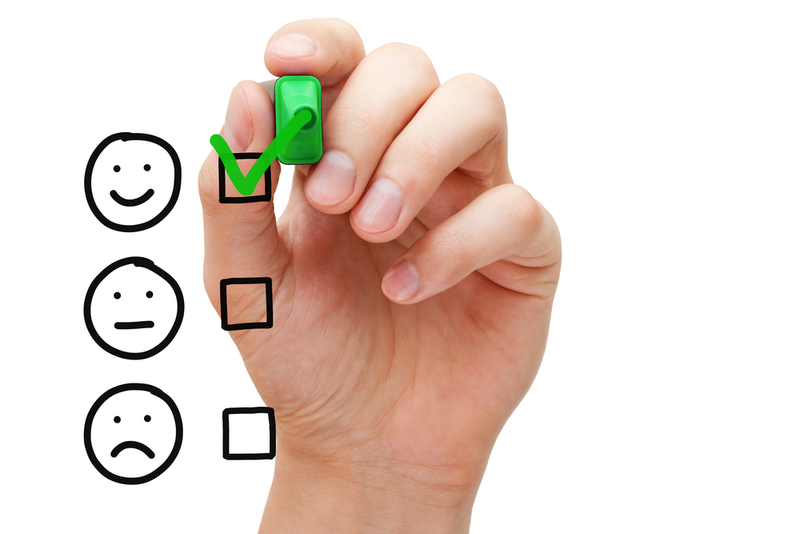 There are several options for selecting a list of customers to survey. One option is to create a simple spreadsheet and export it as a CSV file (that is, a Comma Separated Value file). See Textline's help center for complete instructions on sending NPS surveys. Your customers prefer to text your organization rather than call or email. Sign up for a Textline free trial and get a textable phone number in your local area code, or let us know if you'd like to add SMS capabilities to your existing phone number. 1. Sign up for a Textline free trial. During sign-up, Textline will assign a temporary phone number to your account. Once we finish upgrading your existing number, we'll swap out this temporary number and connect your existing phone number to your Textline account. 3. We will notify you when your upgrade is complete. We'll contact you to make sure you are ready to have your old number connected to Textline. Now your customers can call or text your company! Visit Textline's help center to learn more about enabling SMS on your landline. What do free pizza and fast cars have to do with the history of text messaging? Find out in episode 147 of the Internet History Podcast. Host Brian McCullough interviews Neil Papworth, who sent the world's first text message on December 3, 1992. Speaking of SMS, chances are your customers would prefer to text your organization rather than call or email. 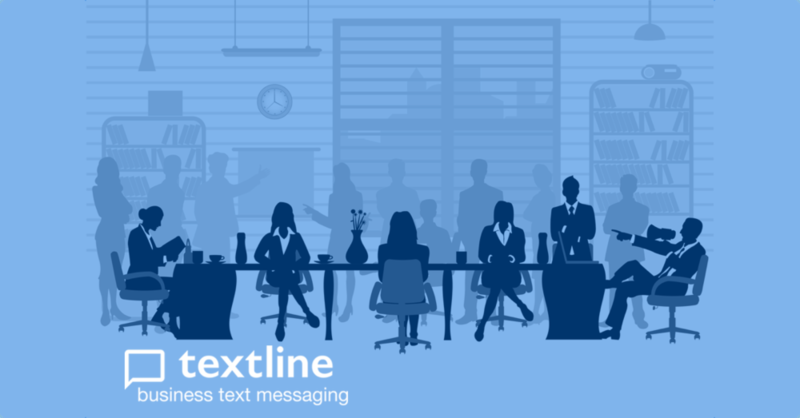 Learn more about business text messaging with Textline. Join us for a guided tour of Textline features and set-up. Textline's new Reminder feature lets agents schedule reminders to follow up with specific contacts at some time and date in the future. Like Scheduled Messages, each reminder is connected to the conversation in view at the time the reminder is created. Unlike Scheduled Messages, however, reminders are private messages that are not shared with your colleagues on Textline. Visit Textline's help center to learn more about setting reminders, or read our recent blog post introducing Scheduled Messages. If your business or organization can't send and receive text messages, millennials won't like you! Sign up for a Textline free trial and get a textable phone number in your local area code, or let us know if you'd like to add SMS capabilities to your existing phone number.